Why run when you can cheer? Today was the goal race of many runners in the club in which I help pace and coach. So, instead of lacing up the shoes (still recovering from last week’s 1/2 marathon race), I donned on some pom-poms, a sign and a cow bell. 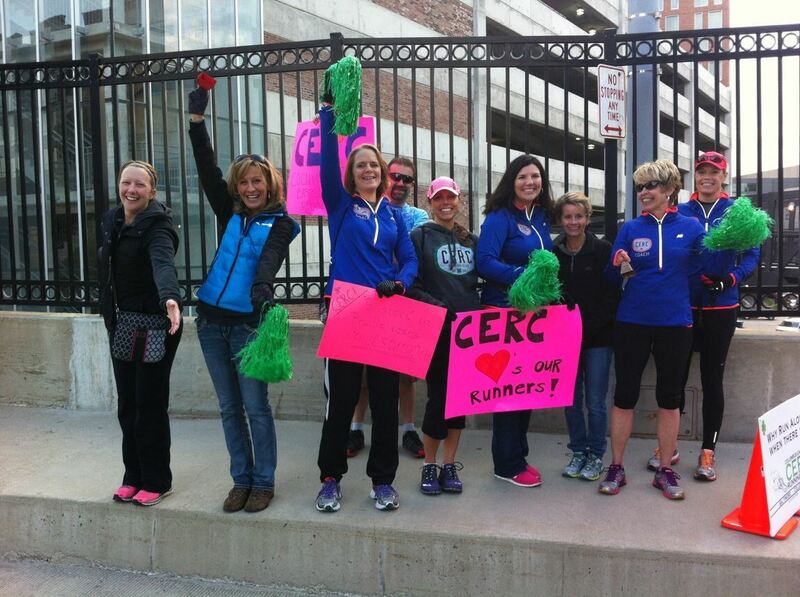 Together with friends from the running club, we recreated last week’s scene when we cheered for three of our runners trying to qualify for Boston (which they did, in case you missed my previous post). The Cap City Half marathon consists of a 5k, quarter marathon, and half marathon, all run at the same time. We stationed ourselves at mile 1, and then again at mile 4ish for the quarter/mile 7ish for the half. We cheered for over three and a half hours! It was a lot of fun and we got a lot of smiles, waves, and thumbs up. All our runners made it, all had a good race, but I think we had the most fun out on the course! Hours later, I have a very sore wrist (from the cow bell) and a sore throat from yelling, but would I do it again? You bet ya! It’s nice to see the other side of the race, it gives you some appreciation for those waiting for you when you are the one running. Comments Off on Why run when you can cheer?